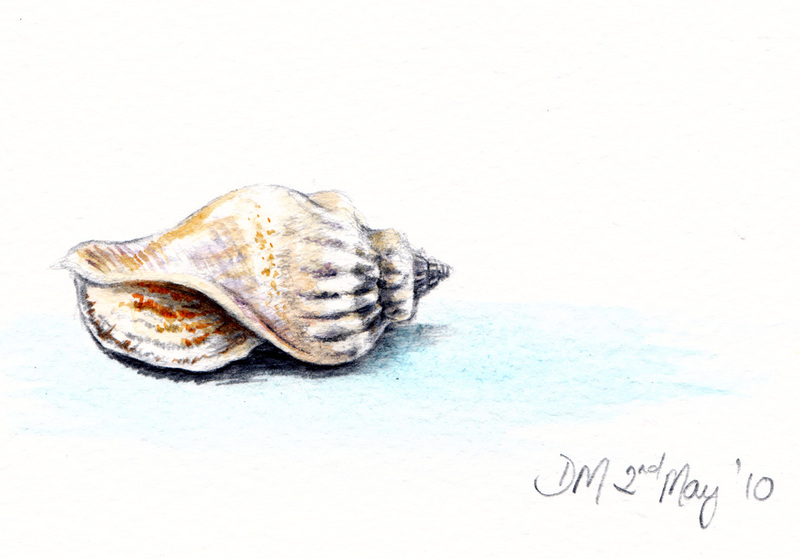 Spent alot of time on my paintings today but did a very small drawing of a shell. Most things I do are A4 size or bigger and it amazed me how quickly I drew this. Debra - This is such a fine looking shell. Looking forward to the ED in May series, which I am sure is going to be a fatastic visual treat. 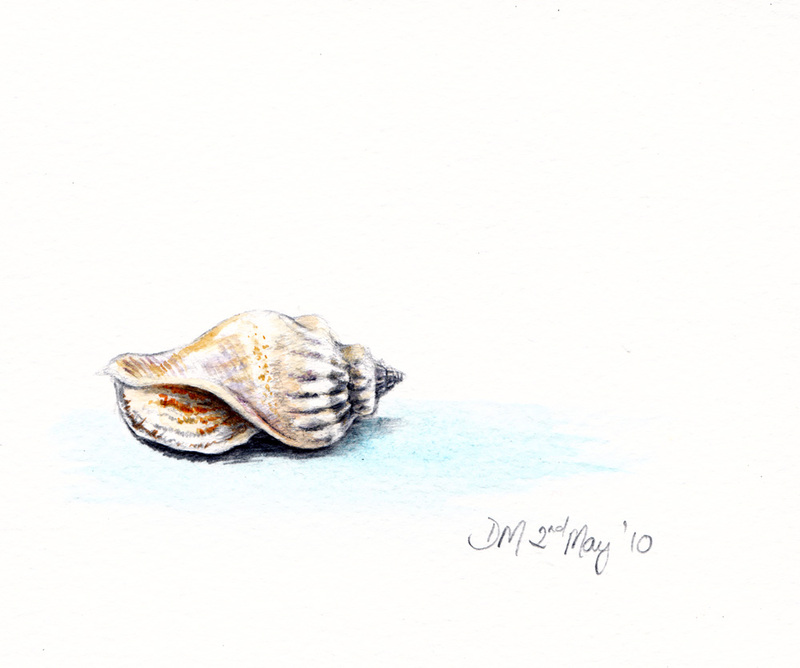 Lovely shell! And I love your woven basket on your last post too! Beautiful shell, so delicate looking! !